Weight loss is not always an easy goal to accomplish. It takes dedication to achieve the balance of weight control, so it becomes part of your everyday life. You can lose weight and keep it off by taking charge of your weight loss and working for your body – not against it. Get started towards your goals with Dr. Urshan’s Weight Control Clinic. Each person is different, and each person has different needs. For long-term success, you need a personalized program, not a one-size-fits-all program. Dr. Urshan can determine exactly what your body needs for healthy weight loss through is innovative weight loss program. His proprietary approach and technology scientifically allow the body to communicate its needs without any guesswork. Regain control of your life by putting yourself in good hands at our weight management clinic. Dr. Urshan received a doctorate at Parker Chiropractic University and has dedicated himself to helping people overcome weight issues through his effective and natural weight loss system. Dr. Urshan focuses on natural solutions for your weight loss. By targeting exactly what your body needs, Dr. Urshan and his team at the Weight Loss Medical Clinic can help you lose weight without shots, hormones or crazy exercises. 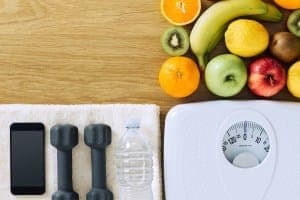 You will have all the support and techniques that you will need to lose weight safely and without hunger pangs. At our weight control clinic, we can help you manage your weight for long-term success. If you are in Tampa, Westchase, Carrollwood, Temple Terrace, South Tampa or neighboring areas, contact Dr. Urshan today and get started!